Moravian rabbi of the first half of the nineteenth century. 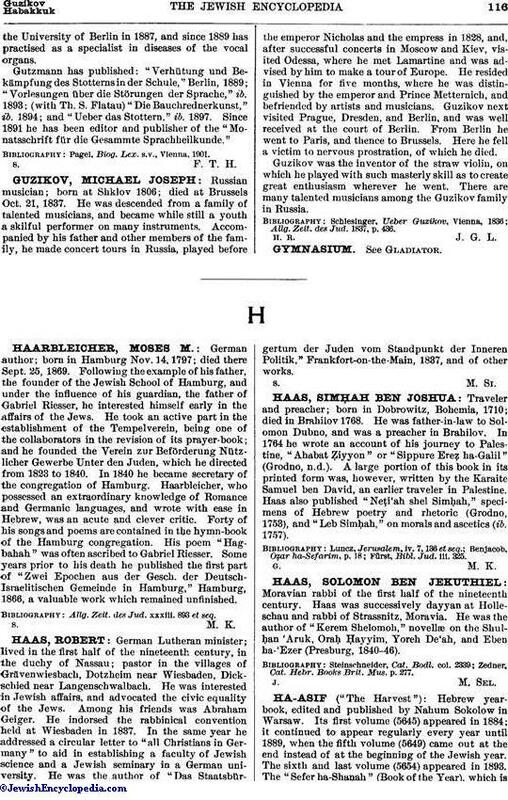 Haas was successively dayyan at Holleschau and rabbi of Strassnitz, Moravia. He was the author of "Kerem Shelomoh," novellæ on the Shulḥan 'Aruk, Oraḥ Ḥayyim, Yoreh De'ah, and Eben ha-'Ezer (Presburg, 1840-46). Zedner, Cat. Hebr. Books Brit. Mus. p. 277.